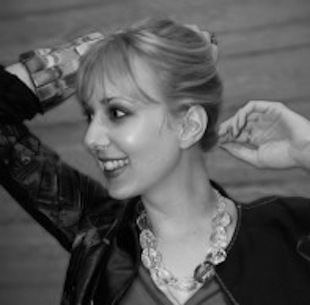 Dr Charlotte Frost is an academic focusing on art’s relationship with technology. Producing reviews and discussion on digital/new media art for more than ten years, she has worked online and off with a variety of key organisations including the Guardian, Arts Council England, Furtherfield, where she is Associate Context Editor, Rhizome and a-n, where she wrote the regular column: Digital Practices. A presenter on the radio show Furtherfield.org on Resonance FM, she also recently co-produced and presented a set of videos on social media for creatives, and contributed to the Guardian video on Jill Magid’s Tate Modern show. She is founder and editor of the research project and academic book series, Arts Future Book, which looks at how digital creativity challenges the form and content of the art history/criticism/theory book. A member of the CAA Committee on Intellectual Property, she is also the founder and director of PhD2Published, a web resource offering publishing advice to early-career academics. Her own first book, Art History Online, comes out in 2013. She has taught at Writtle School of Design, the University of Westminster, completed a short-term Post Doctoral Fellowship at the prestigious HUMlab in Sweden, and is the 2011-2012 International Post-Doctoral Research Fellow at the Center for 21st Century Studies at the University of Wisconsin-Milwaukee.